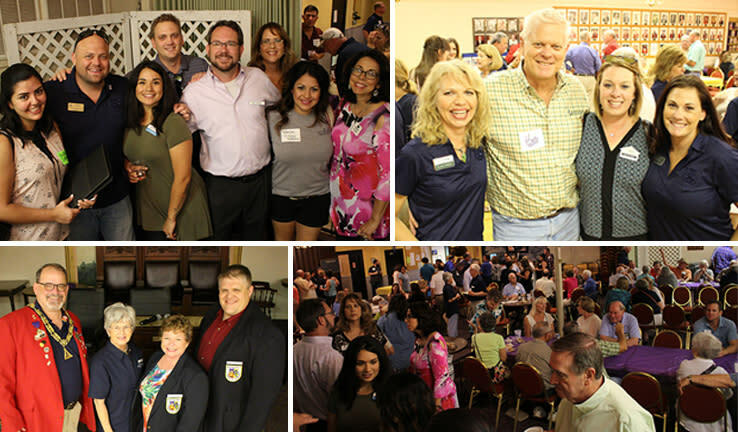 The July Membership Mixer was held Thursday at the New Braunfels Elks Lodge and co-sponsored by Capitol Wright Distributing, LLC., Comal Rental Company, Feller Roofing and HEB. More than 250 Chamber members came out to meet other members, mingle with community and business leaders and enjoy delicious food, cold drinks and good company. The Mystery Member was Darrin Toney of Firetrol Protection Systems and the 10th person to shake his hand and earn the $10 bill was Delia Saucedo of the Crisis Center of Comal County. The cash drawing was $350 but A.J. Keyser of Downtown Social was not there to claim his cash when his name was called. That means the $350 will rollover to the next mixer where we will draw for $400. The August Membership Mixer will be held at the Humane Society of the New Braunfels Area on Thursday, August 10 from 5:30 to 7:30 p.m. Don’t miss this chance to meet other Chamber members, network with business and community leaders, and make some new connections.